One of the biggest – and most important – hurdles parents face is that of teaching their kids to save money. In today’s instant gratification world, kids are often led to believe that spending is more beneficial than saving. It’s our job as parents and caregivers to teach them the benefits of saving over spending. 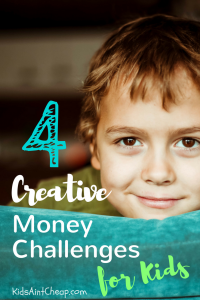 By utilizing these money challenges for kids you can help your child learn the importance of saving money. The 365-Day Money Challenge has flexibility in both the amount of money you can use and when you earn it. The first step is to print out a chart that has 365 days of money amounts on it, starting with $.01 up to $3.65. Then, post the chart somewhere where your child will see it every day. Each morning when your child gets up, they pay their piggy bank or money jar an amount from the chart. When they pick a money amount to save, they then cross that amount off on the chart. Each money amount can only be used once throughout the year. By the end of the year, they’ll have saved $667.95! Wants some ideas for how to help your child earn money? Check out these chores here. This money challenge will involve parents and/or grandparents as well. The first step is to have your child decorate a jar with a lid, such as a large canning jar. They can also use their own piggy bank. Each week your child will put in their bank the money they’ve earned through different sources. 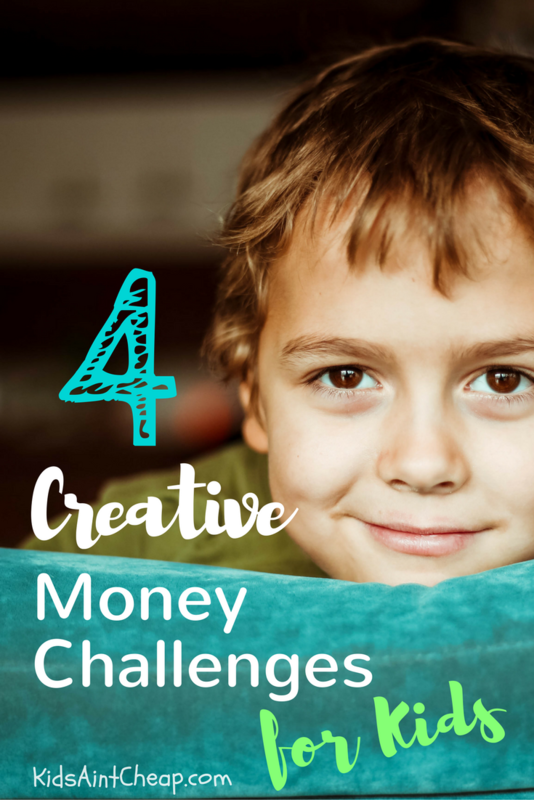 Money earned for chores or allowance, or money received from gifts are some ideas for finding money to save. After the jar is filled up, parent and child bring the jar to the bank to deposit the money. When the money is counted, parents or grandparents match the amount the child has saved. The final deposit into your child’s savings account will be double what they have saved! Similar to the 365-day challenge, this challenge requires kids to save money on a regular basis. First, they print out this chart. Each week has a money amount – payable in quarters – listed on the chart. Your child chooses which amount he or she wants to save each week, crossing that amount off as they go. By the end of the year, your child will have saved $344.50. This challenge can be implemented in a number of different ways. The goal is to help kids improve their lives in some way or teach them that work produces income. The first step in this challenge is to determine a dollar amount payout. Parents can work with children to help decide how much they want to earn in a given time period. The challenge can be modified to work for every family’s budget and specific goals. For instance, some kids may have a goal of earning $10 in a week. Others might want to earn more over a longer time period. It also helps to determine with your child why he or she wants to save. Having a reason for saving helps motivate kids to save more. The challenge can be customized to fit whatever goals your family or your child may have. As a bonus, your child will earn a reward them for achieving those goals. Teaching kids to manage money well is just one of the things we can do to prepare them for independence. By helping our children develop a habit of saving money, we can prepare them to be financially responsible adults. Got any money challenges for kids of your own to add? Drop it below! Are you a stay-at-home mom? Check out these hot tips and pin one for later! Loans for Stay-at-Home Moms – What Are YOUR Options?